Image caption Viacom has accused Google of "massive intentional copyright infringement"
Viacom has accused Google of "massive intentional copyright infringement". 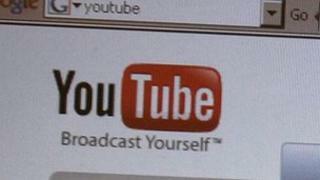 In 2010, a lower court dismissed Viacom's $1bn (£630m) case against Google, which owns YouTube. Viacom had claimed that "tens of thousands of videos" based on its copyrighted works had been posted on YouTube, and that both YouTube and its owner Google had known about it but had done nothing about it. Google and YouTube had argued that they were entitled to "safe harbour" protection under digital copyright law because they had insufficient notice of particular alleged offences. Google - good or evil?